‘Digital economy’ – two words on the lips of many politicians. They say all connections need to be super-fast and extra-reliable. But is enough being done in rural areas? The aim of £530 million of public sector investment is for 95% of the UK to have high speed connections (at least 24Mbps) by 2017. But what about the remaining 5%? Promises only go so far as providing basic 2Mbps broadband speeds for all. People can do simple things like email but anything else such as sending photos or streaming video becomes impossible. Indeed, OFCOM says that getting proper use from the modern web requires a connection of no less than 8 Mbps. The UK is the 11th most connected country on the planet according to the Internet Society. It ranks a sluggish 23rd when it comes to speed of its fixed connections. But the stats are even worse when it comes to mobile internet speeds. When on on the move, you’d be better off using your phone in Puerto Rico, Latvia and Columbia than the UK. This matters because fast internet isn’t about letting kids in the countryside watch cat videos on YouTube. OFCOM says fast internet is “critical” to the UK’s economic success. Neelie Kroes, the Vice-President of the European Commission responsible for the Digital Agenda, says a better distribution of broadband speeds can boost GDP by between 1 and 1.5%. So what solutions should the UK be investing in for rural communities? A network of balloons travelling 12 miles above the Earth’s surface could beam internet to isolated communities. 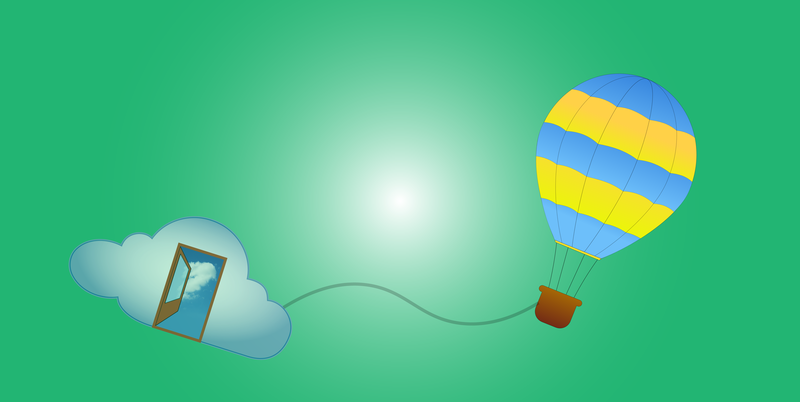 This isn’t a dream – Project Loon from Google would partner with telecommunications companies to do just that. Balloons may be great at a five-year-old’s birthday party, but there are drawbacks to this lofty scheme. In May 2013 one of Google Loon’s balloons fell to earth and crashed into power lines near the U.S. city of Portland, according to Yakima Herald-Republic. Nobody was harmed but it did knock out power in some homes. Google says each balloon has a parachute which can be deployed in case of an unexpected landing. Is such a high-flying ‘solution’ necessary? Rather than pioneer the skies, another potential solution comes from using ‘white space’ which is essentially unused TV channels. Microsoft is already rolling out schemes using the technology in Tanzania and Kenya using solar-powered base stations to make internet affordable on a continent where broadband remains out of reach for 80% of people. A major benefit of serving wifi through the ‘spectrum’ is that the signal can easily penetrate obstacles like walls. This is vital for getting people online in areas where you have to drive to see your next-door neighbour, as fewer access points are needed to cover the same area as conventional wifi. This approach could also go beyond homes and businesses, according to OFCOM, and even serve internet to ships off the Orkney Islands. Yet this route would be tapping into frequencies that are used for things like digital TV and wireless microphones. While experts say there is plenty of signal to go around, a system of automatically sharing the signal needs to be devised before this concept goes ahead on a meaningful scale. Sheep could also be the answer for isolated communities looking for information or social interaction. Researchers from Lancaster University have been developing connectivity collars which would gather information on how the animals move around certain areas in search of grazing spots. The neckpieces could also be used to transmit wifi to flocks of humans. The project has been awarded £171,495 from the Engineering and Physical Sciences Research Council and hopes to help environmentalists better understand problems like flooding and agricultural pollution. 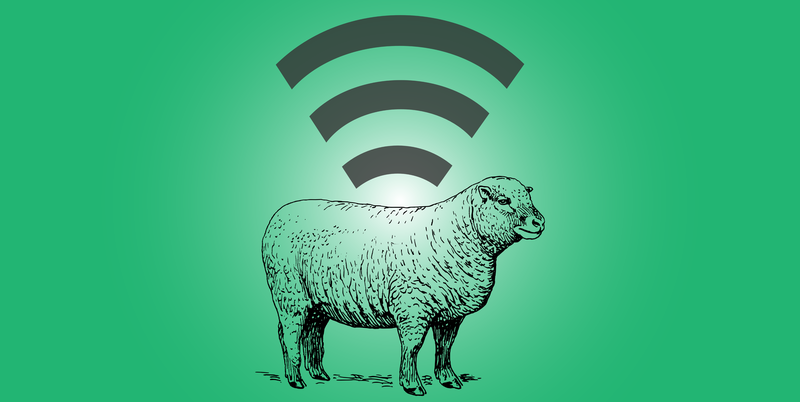 Sheep-powered internet may sound mad and it has its problems. Sheep are social animals and move around in flocks. This makes it easy to see how a network of connections could be transmitted easily between the sheep, but harder to see how a signal could be provided to a wide area. Elsewhere, other animals have been considered for this type of solution. The Saami population in Swedish Lapland, who migrate through the seasons with their reindeer flock, have experimented with Delay Tolerant Networks (DTN). This technology relies on hardware like flash memory which can store lots of data and survive long periods without power. It’s a specific solution for a specific population, and one which is unlikely to help those living in rural England.